The Outer Banks Community Foundation is now accepting applications for the position of Scholarship and Office Administrator. This full-time employee will be facilitating the operations of the entire foundation, managing our office, and coordinating the largest scholarship program in the Outer Banks. This is a key role within our community, administering 50+ scholarships each year, and helping 50 to 100 students annually achieve their dream of a college education. This position will also be managing the Community Foundation’s facilities, property, and office systems; organizing events and mailings; maintaining files and computer systems; receiving visitors; and performing other administrative duties as needed. We are looking for candidates with excellent organizational skills, a keen attention for detail, an exceptional aptitude for customer and community service, strong computer and communication skills, and the ability to thrive in a fast-paced environment with multiple and shifting priorities. Most of all, we’re looking for someone who is truly passionate about making a difference in the lives of others. Nonprofit experience and Spanish language proficiency are both pluses, though not required. Click here for the full position description, and email your résumé and cover letter in PDF format to LCosta@obcf.org no later than May 12. Please specify “Scholarship and Office Administrator” in the subject line of your email. Please, no phone calls. https://www.obcf.org/wp-content/uploads/2016/12/DSC6435-web.jpg 600 600 OBCF https://www.obcf.org/wp-content/uploads/2013/07/obcf-logo.png OBCF2019-04-18 09:48:082019-04-21 18:45:25The Community Foundation is Hiring! 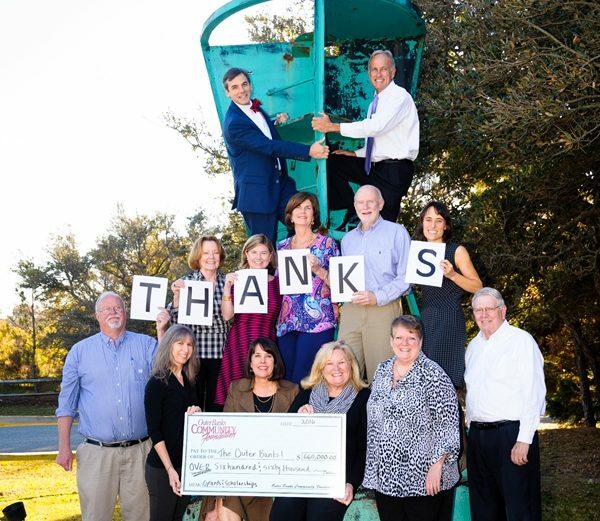 The Outer Banks Community Foundation has funds and endowments established for a wide range of purposes and reasons. But the Sgt. Joshua Rimer Memorial Fund for Veterans is unlike any other fund the Community Foundation administers. Betty Evans lives in Corolla now with her husband, Wayne, but ten years ago she was working at a Pittsburgh area hospital with fellow nurse Donna Rimer. The women specialized in different areas of care, so they didn’t work together very often, but they had gotten to know each other. “She was just a nice person,” Betty said. Betty also knew that Donna’s son, Joshua Rimer, was a Sergeant in the U.S. Army, and had served in Iraq. She had a chance to meet Josh once, and the memory has remained with her. “When he came home from one tour, I saw them at the mall, and I said, ‘Oh, it seems so good to see your mother smiling again.’ She was beaming, and he was beaming, and he seemed like such a nice kid,” she recalled. Then word came that Sgt. Rimer lost his life in Afghanistan. He had been on patrol, escorting a convoy, when a roadside bomb hit his armored car. The date was July 22, 2009. Josh was 24 years old. When she continues, there is a catch in her voice, “I just appreciate them (veterans) and admire them,” she said. Betty was not alone in believing there was something special about Joshua, something that seemed to draw people to him. When word came that he had died, his Pennsylvania community responded. “He was a very good guy,” Joshua’s mother said, describing her son. Over the years Donna has worked to keep her son’s legacy of protecting and caring for others alive. She and her family have worked with Yellow Ribbon, sending packages and supplies to soldiers in foreign lands. “We’ve sent packages to 10 or 12 countries,” she said. They have also raised over $20,000 for the Battle Buddy Organization, which provides service animals to veterans who are disabled or suffering from post-traumatic stress. Although she has been actively working to help veterans, Donna was caught off guard when Betty told her that she and Wayne wanted to establish an endowment in the Outer Banks to help veterans, and name it for her son. Community Foundation board member and Navy veteran Clark Twiddy agreed. “This gives us a special opportunity to help our veterans,” he said. The needs of the veteran community are diverse, Clark noted. Understanding those needs is an important part of getting them help, something he describes as educating ourselves. And asking for help is not automatic for many veterans. “They are the last people to ask for help. They have dedicated their lives to serving others first. They don’t want to be a burden to their family and spouses,” Clark said. Other than helping local veterans and their families, there are no specific guidelines for the new endowment, but for Wayne and Betty, the idea of the Sgt. Joshua Rimer Memorial Fund for Veterans seemed a natural outgrowth of their philosophy of giving. “I think you have to change how things were so terrible into things for good,” Donna said. The Sgt. 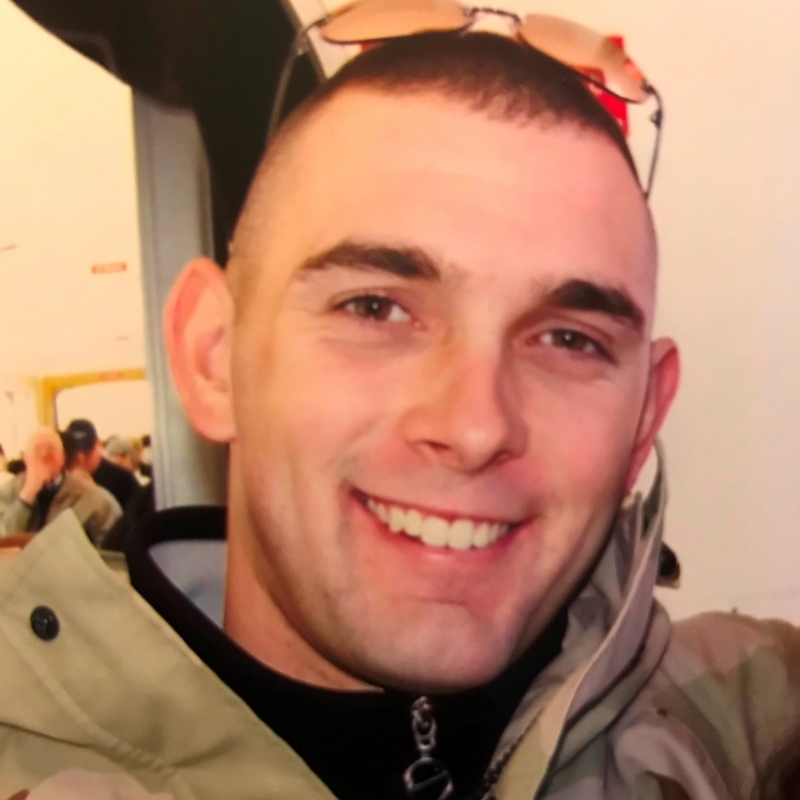 Joshua Rimer Memorial Fund for Veterans is a new, designated endowment at the Outer Banks Community Foundation that will benefit local veterans and their families. 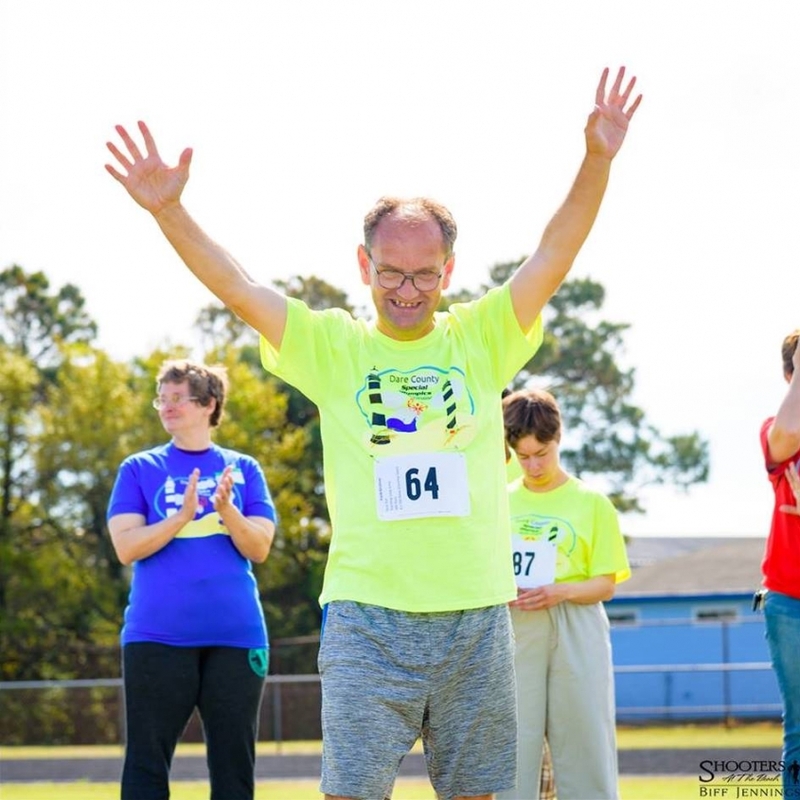 Established by Wayne and Betty Evans of Corolla, NC, the endowment is in honor of a decorated American soldier who lost his life in Afghanistan 10 years ago. Sgt. Rimer, the son of Donna and James Rimer, received a Purple Heart, Bronze Star, and Medal of Valor over the course of his service. Anyone who wishes to honor Sgt. Joshua Rimer — or any another veteran — is invited to contribute to the Sgt. Joshua Rimer Memorial Fund for Veterans. Your gift to this permanent endowment will help local veterans and their families for generations to come. If you choose to honor a veteran with your gift, the Community Foundation is delighted to send notice to your honoree (or his/her family). Go to www.obcf.org/donate, select “Other Fund,” and choose “Sgt. Joshua Rimer Memorial Fund for Veterans” from the list of funds that appears. 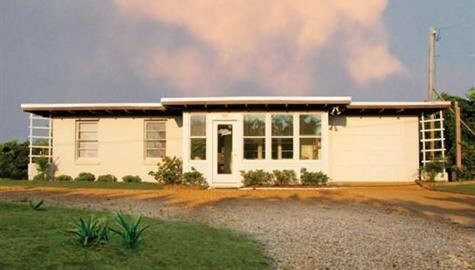 The Southern Shores Historic Flat Top Cottage Tour is back! The 2019 tour will be held on Saturday, April 23 from 1:00 PM to 5:00 PM. Tour tickets are just $7.00 per person and will be sold on the day of the tour beginning at 1:00 PM at 156 Wax Myrtle Trail or 13 Skyline Road. The ticket covers all of the cottages on the tour. Fifty years ago, flat top cottages abounded across the Southern Shores landscape. Known for their distinctive cinder block walls, flat roofs, jewel-toned soffits, juniper paneling, and vertical shutters, Southern Shores flat tops were designed and inspired by Frank Stick (1884-1966), the visionary developer, painter, outdoorsman, and architect (whose son founded the Outer Banks Community Foundation). Today, only about twenty-six flat tops remain, most built from indigenous Outer Banks materials. There are two headquarter cottages where tour tickets will be sold: 156 Wax Myrtle Trail (entrance facing Porpoise Run) and 13 Skyline Road (Outer Banks Community Foundation). Sorry, advance tickets are not available. Maps will also be available at headquarter cottages, detailing the addresses of each open house. Brief histories of the cottages will also be provided. Balloons will mark cottages that are open on the day of the event. All proceeds from the tour will benefit the Flat Top Preservation Fund of the Outer Banks Community Foundation. The Flat Top Preservation Fund is a perpetual endowment that helps fund the maintenance, protection, and preservation of the Community Foundation’s flat top headquarters at 13 Skyline Road. Built in 1953 by Frank Stick, the cottage was donated to the Community Foundation in 2007. For more information, please contact Sally or Steve Gudas at 804-399-8342 or seatide1@gmail.com. Huge thanks to Baldwin Video Productions for the PSA Video below! The Outer Banks Community Foundation is now accepting scholarship applications online. Applications are due by 11:59 pm on Sunday, March 31, 2019. We have 50 different scholarships available, and about $170,000 to give away this year. We look forward to getting your application! How to Start: CLICK HERE to begin your application. This link will take you to a short questionnaire that helps you identify the right scholarships for you. Answer each question in the questionnaire as completely and accurately as possible, and you’ll get a list of the scholarships that you may be eligible to receive. Select the scholarships that seem to fit you, and start your application. Create an Account: You must create a (free) account in the system in order to apply. By creating an account, you can save an incomplete application, and log back into the system later to complete it. To log back into the system to finish your application, go to www.smarterselect.com, click login, enter the email and password for your account, and you will see the list of all of your applications, including incomplete, pending, and submitted applications. Common Application: Students complete one common application for all Community Foundation scholarships. That means that once a student completes his/her first application in our system, all of the information from that first application carries over to his/her next applications. This includes financial information, academic information, extracurricular information, transcripts, and letters of recommendation. The only part of the application that a student must complete individually for each scholarship is the essay question at the end. Letters of Recommendation: We require two letters of recommendation. The application form will prompt the applicant to identify two people to submit letters. The system will automatically email your recommenders once you enter their email addresses. It is the applicants’ responsibility to ensure that their recommenders upload their letters by the March 31 deadline. We regret that late letters cannot be accepted. Need-Based Awards: Though many of the Community Foundation’s scholarships are merit-based, the majority of awards consider financial need. For the need-based awards, students should complete a FAFSA (Free Application for Federal Student Aid) and upload the resulting Student Aid Report into their application. Students, start your applications today! Our application closes on Sunday, March 31 at 11:59 pm. Unfortunately, late applications are never accepted. 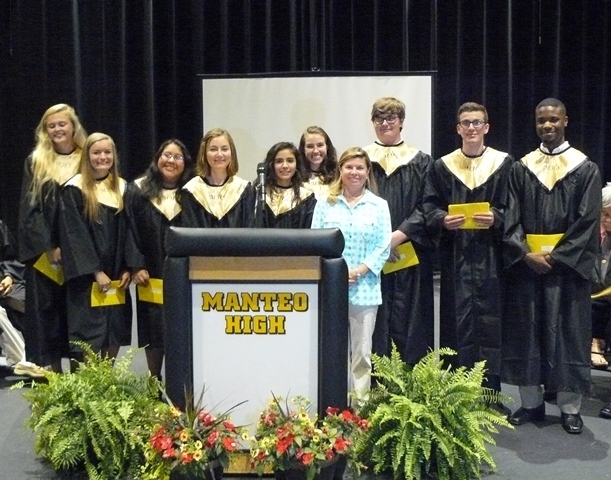 All scholarship winners will be announced at their school’s Senior Awards Night in May or June. Haga clic aquí para más información en español. https://www.obcf.org/wp-content/uploads/2015/06/MHS-Lia-Raves-with-Fred-and-Susan-Smith-smaller.jpg 649 1024 OBCF https://www.obcf.org/wp-content/uploads/2013/07/obcf-logo.png OBCF2019-02-24 18:20:542019-02-27 20:34:48Scholarship Application Now Open! The Outer Banks Community Foundation honored Josephine Oden at its annual meeting on February 19, naming “Miss Jo” posthumously as the organization’s 2019 Champion, in recognition of her role in starting the foundation’s scholarship program. Two new board members were elected by the foundation’s members, and two departing board members were honored. The meeting was sold out this year, with 175 guests attending. 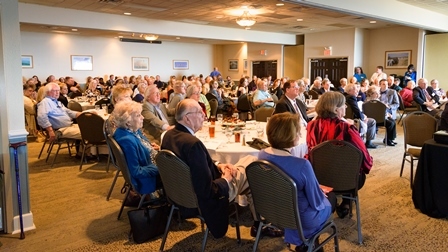 The crowd celebrated $750,000 in grants and scholarships awarded to the Outer Banks in 2018, and almost $9 million awarded since the Community Foundation’s establishment in 1982. The event featured exhibits from several local, historical nonprofits that had received grants from the Community Foundation the prior year, including the Pea Island Preservation Society, the Chicamacomico Lifesaving Station, the Ocracoke Preservation Society, and the Friends of the Outer Banks History Center. 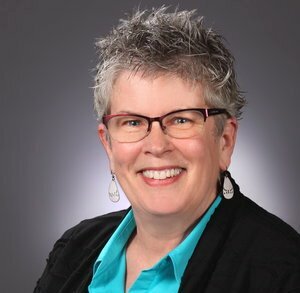 Members of the Community Foundation unanimously elected two new directors for the organization’s board: Jean-Louise Dixon of Buxton, and Noel Preston of Martin’s Point. Ms. Dixon is a practicing attorney, and Rear Admiral Preston is a helicopter pilot retired from the US Navy. Board terms for Jane Webster and Ray White were renewed by the members. Two retiring board members were thanked for their outstanding service: Teresa Osborne of Nags Head, who served as the Community Foundation’s president in 2017 and 2018, and Chris Seawell of Manteo, who served as vice president and grants chairman. Mr. Seawell announced the winning videos from the Community Foundation’s annual contest. Chicamacomico Lifesaving Station came in first place, followed by Ocracats in second place, and the Outer Banks Center for Dolphin Research in third place. The winning videos can be viewed online by clicking here. Katie Phillips gave the keynote address. Ms. Phillips was the Community Foundation’s Sawyer Scholar in 2016, and she spoke movingly about how her scholarship—and the Community Foundation—gave her hope and support through college. Finally, Leanne Robinson, who was the Community Foundation’s Inez Daniels Austin Scholar in 2001, conferred the Champion Award to Josephine Oden, aka “Miss Jo,” the Community Foundation’s first female board member and first Hatteras board member. Miss Jo, her sisters Ramona Hunter and Sybil Skakle, and their sister-in-law Ruby Moser, gave the first Inez Daniels Austin Scholarship in 1976 in honor of their mother, and moved the funds to the Community Foundation in 1984 to ensure the scholarship’s perpetuity. 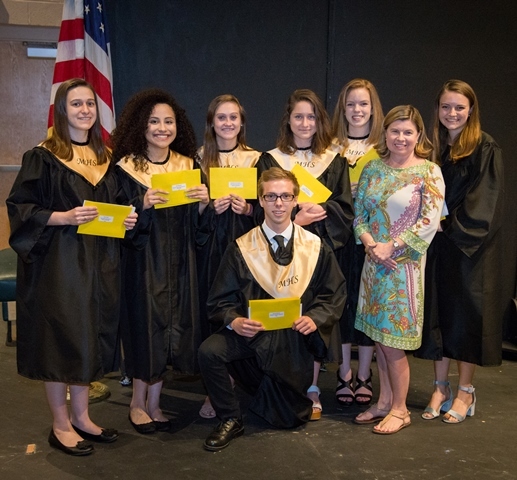 In so doing, Ms. Robinson said, Miss Jo started the Community Foundation’s entire scholarship program, which today includes over 50 scholarships that have bestowed more than 1800 awards and $2 million to local students attending college. Miss Jo passed away in 2017, and her son, Jeff Oden, accepted the Champion Award on his mother’s behalf. Miss Jo was a Legacy Donor and left a final bequest to the Community Foundation, which grew the Inez Daniels Austin Scholarship even further. Her family has subsequently started a new scholarship in her own name, the Josephine Oden Scholarship, which will grant its first scholarship to a deserving Hatteras student in 2019. 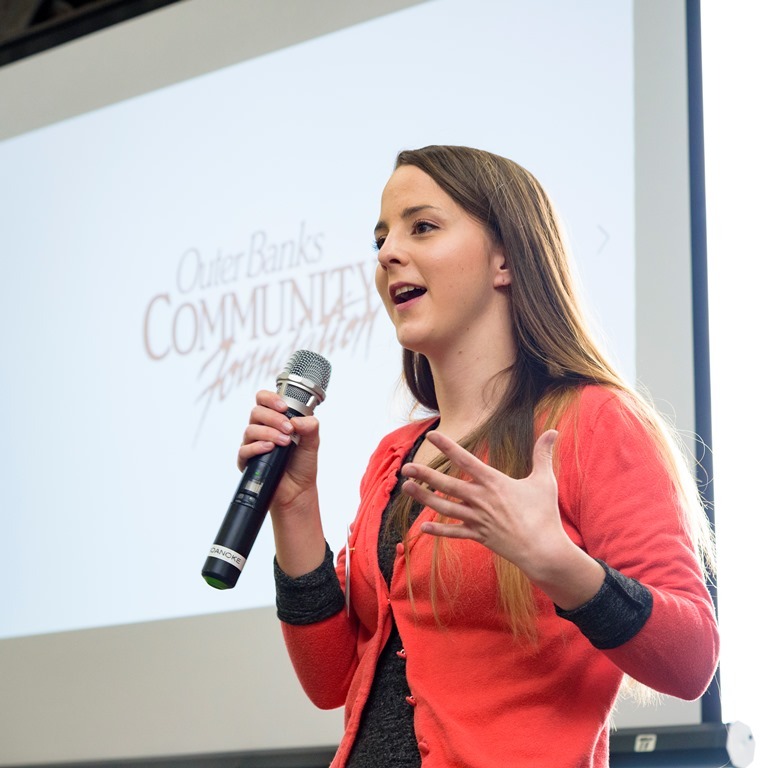 Photograph Above: Katie Phillips, the Community Foundation’s 2016 Sawyer Scholar, and keynote speaker at the foundation’s 2019 annual meeting. Photograph by Biff Jennings, Shooters on the Beach.